-- A brilliant but deeply flawed man struggles to earn absolution. Hilary Burde was a rising star in academia until a tragic accident plunged him and his mentor and rival, Gunnar Jopling, into two decades of depression and guilt. Hilary, unable to overcome his pain, abandoned his promising career for an unfulfilling job as a civil servant. But at age forty-one, Hilary crosses paths again with Gunnar—initiating a series of events that will change their lives forever. Set against a richly drawn backdrop of post-war London, A Word Child is a gripping story of passion and the redemptive power of love. 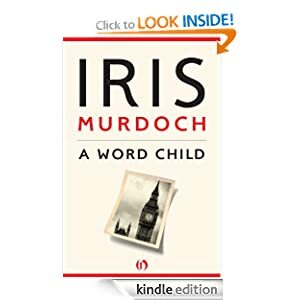 A Word Child or to sample this book for FREE! -- Royston Blake is head doorman at Hoppers Wine Bar and Bistro in the backwater English town of Mangel. Even his sharp-tongued girl, Sal, has overheard the talk that the formerly fearsome bloke has gone soft, lost his edge, and become a pushover in a town where he can ill afford it. To make matters worse, the violent Munton brothers are after him, and the thought of ending up in the back of their bloody Meat Wagon is almost too much to bear. Something's gotta give, but it sure as hell won’t be Blake. Following advice from his best mate, Legsy, Blake embarks on a plan to re-establish his reputation as a hard man, ensure his appeal to the women of Mangel, and seal his future with the new owner of Hoppers. The logic of the plan is sound: knock around Baz Munton a bit and regain the respect of Mangel's populace. But sound logic never really took off in Mangel, and Blake finds he’s got his work cut out for him. This brutal black comedy introduces a wholly original voice to the ranks of contemporary literature’s most memorable protagonists. 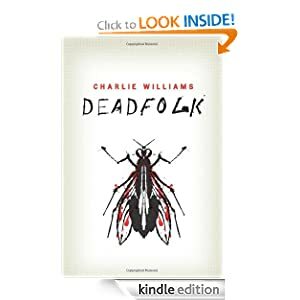 Deadfolk or to sample this book for FREE! -- Dakota Frost is back, and the ink is about to hit the fan-again. Graffiti comes to life in the dark heart of Atlanta's oldest cemetery, slaying one of the city's best loved vampires before the eyes of his friend Dakota Frost. Deadly magick is at work on the city's walls, challenging even the amazing power of Dakota's tattoos to contain it. The hungry, graffiti magick loves to kill, and the Edgeworld is no longer safe from its own kind. Saving Atlanta may cost her everything, including custody of her "adopted" weretiger daughter, Cinnamon. But failure is not an option. If the graffiti isn't stopped, Cinnamon could be the next victim. 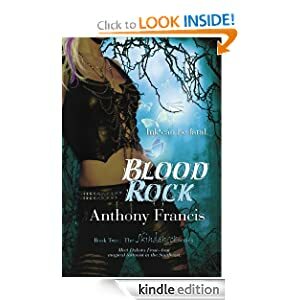 Blood Rock or to sample this book for FREE! 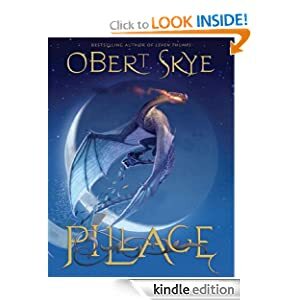 -- When fifteen-year-old Beck Phillips travels by train to the secluded village of Kingsplot to live with his wealthy but estranged uncle, Beck discovers some dark family secrets. A buried basement, a forbidden wall, an old book of family history with odd references to. . . dragons? Beck's life is about to be changed forever in this suspenseful tale about the destructive nature of greed and the courage to make things right. Pillage or to sample this book for FREE!